Good credit can be a powerful tool used to build and improve your life. Although you could survive without it, you can do much better with it. Knowing that you aren’t in debt and can borrow when you need to can create a sense of security. In light of this, people everywhere are working hard at improving their credit scores and also maintaining good credit. Whether you are in a situation where you have debt spiraling out of control, or you just want to continue good habits, the principles of credit building are the same. On that note, if you need a few tips to help you improve or maintain your credit, continue reading below. One of the best pieces of advice that you can get when it comes to building and sustaining good credit is to control your spending. No matter how much effort you put into doing the rest of the things that will be mentioned below, if you don’t have any discipline when it comes to managing finances, you may end up in a cycle of bad credit and debt. To control your spending, have a monthly budget that you stick to and follow it religiously. Leave a category in your monthly budget for frivolous or miscellaneous spending so that you don’t feel deprived and as a result, end up spending impulsively. Ultimately, budget and financial goals should help you stay on track. Another option to try is a financial fast which forces you to think before making major purchases. Your credit report is the secret to fixing and maintaining good credit, so check it as frequently as you need to. 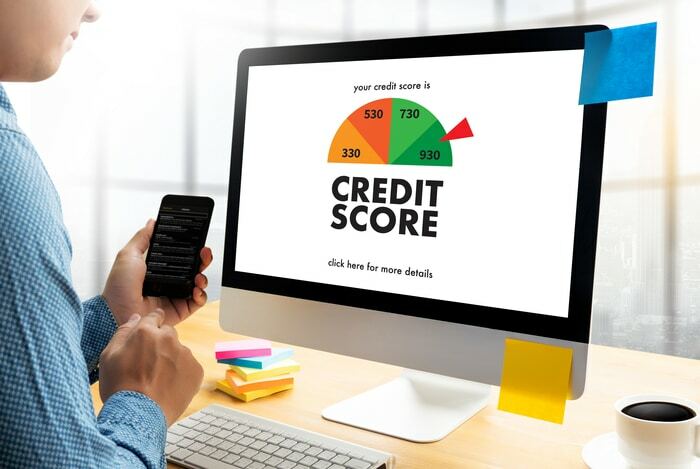 If you’ve got bad credit, it can tell you who you’re owing and how much so that you know where you need to start to get back on track. If you notice any information on your credit report that you don’t agree with, it’s imperative that you contact a credit bureau immediately. At times, something can be done about it and it can be removed altogether, especially when a mistake has been made. You’d typically need to write a credit dispute letter, and you can get the letter at Crediful. The credit bureaus are obligated by law to investigate, so it’s definitely worth giving a shot. Credit in itself is not a bad thing, but your financial habits may be. Focus on borrowing responsibly to avoid debts and falling behind on repayments. If, for instance, you borrow money to buy a new outfit for the weekend and you know you won’t be able to afford to pay it back this could be classified as not borrowing responsibly. Only borrow what you can afford to pay back, and as mentioned in the first tip, live within your means. Another tip for borrowing responsibly is putting a self-imposed spending limit on your credit cards. This should help you avoid unnecessary late fees as well as maxing out your cards and damaging your credit score. You can’t always predict what will happen in life, but you can prepare for it. Having said that, work on getting another stream of income so that in the case of unforeseen circumstances, you have enough money to support you. If, for instance, you happen to lose your job, that could set you back significantly and result in you paying late fees on your bills and falling behind. If you need another stream of income, brainstorm income ideas and use the best ones you come up with. Think about services that you can render in exchange for money and focus on your strong areas of competency. You should also use your free time to develop your talents and skills as the better you are, the more you can charge. You can use this system to create multiple streams of income. Bear in mind that millionaires are said to have at least seven streams, so keep going. It can be so easy to become distracted, especially in a world that is full of advertisements and marketing. However, when you have clear life and financial goals, it can be far easier to stay focused on the road ahead. To create financial goals, think about your future and where you want to be in the next one, five and ten years. Break those goals down into practical steps, and then use that to help guide your spending as well as saving as well.